£10.00 per ticket which includes a free welcoming drink. Booking is now open for the Laying-Up Supper & Prize Giving. Please book your place by October 31st, as we must confirm numbers with the caterers by then. Click here to download a booking form MS Word Version PDF Version Print and complete the form and deliver it to the clubhouse. Please email Myrna at myrnaharbour@gmail.com with any queries. Myrna & Carole are organising the event and would appreciate offers of help during the afternoon of Friday November 16th to set up and decorate the clubhouse. Following the very successful members’ meeting on August 2nd 2017 your committee has arranged a follow-up session. The VC will report on the progress of issues discussed last meeting and present some of the current issues. One issues that the committee would like members’ view on is: “How does the club continue without enough volunteers to take on vital tasks”. 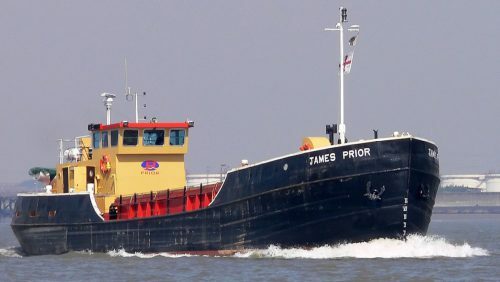 Ever wondered where the Priors sand & gravel barges go? The 2019 Heybridge Basin Regatta will be held on 6/7th July. Starts at 10am with high water at 16:10.